Revanta Multi-State CGHS brings to you Revanta Smart Residency tactically located at L Zone, Delhi Dwarka neighboring Dwarka on one side and Gurgaon on the other. It offers elite 2BHK, 3BHK and 4BHK apartments with servant room in various units. This project speaks for itself with envisioning to match the international standards. Enjoy a world class lifestyle with flats for all income group. The project comprises low-rise, mid-rise and high-rise group housing with schools, inter college, healthcare center, shopping and commercial complex in close proximity. Revanta Smart Residency offers an experience of living in well-spaced apartments amid wide expanses of nature. Where is Revanta Smart Residency located? L Zone, a prime residential locality for house seekers in Delhi Dwarka. What size of flats are available in Revanta Smart Residency? The apartment sizes in the project vary from 475.0 sqft to 2100.0 sqft. What is the area of 1 bhk in Revanta Smart Residency? 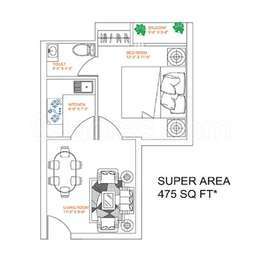 1 BHK units in the project are available in a size of 475.0 sqft. How much is area of 2bhk in Revanta Smart Residency? Two-room units (2BHK) in the project are available in an area of 775.0 sqft to 1175.0 sqft. What is total area of 3 bhk in Revanta Smart Residency? 3 BHK units in the project are available in a size of 1475.0 sqft to 1675.0 sqft. What is size of 4 bhk in Revanta Smart Residency? The area of 4 BHK apartments is 2100.0 sqft. as i understand all these projects of Revanta Multi State CGHS are still in the conceptual stage and nowhere visible on ground. i tried a lot to find something somewhere practically at site but failed to even find a site for the project.plz be transparent in dealing so that the aspirants are convinced rather than getting confused. Sir we want that all our clients should have no doubts and we welcome for any queries. We would be happy to resolve your each and every query till you are fully satisfies and then only we look forward for your investment. Please feel free for any queries and you can also visit our office for the same. Our motto is to provide our clients best investment opportunity with best returns. Please feel free to clear your each and every doubt. Hi, Revanta Smart City is a project by Revanta Multi State CGHS in Dwarka, Delhi. It is a new launch project. Is it good to invest in Revanta Smart City? What are the launch prices? I heard that they are offering only 2bhk and 3bhk. I am interested in buying a 2bhk there so, please share prices and flat configurations for 2bhk only. Do they have a Delhi registry? How can one find out that? Dear Farhan, as you know that Revanta Smart Residency is located in L Zone, Dwarka which is being touted as an investment destination by several property experts. The project is being constructed on 7 acres of land on which 4 high-rise towers comprising of 15 floors each are being built. A total of 300 well-designed 2, 3 and 4BHK apartments are under-construction. 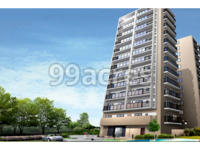 Enclosed is the area and price details of the same: -2BHK apartment measuring 975 sq. ft., New booking base price: Rs. 25-29.25 lakh onwards, Resale price: Rs. 27-31.25 lakh onwards -Second type of 2BHK apartment measuring 1175 sq. ft., New booking base price: Rs. 30-35.25 lakh onwards, Resale price: Rs. 34-52.5 lakh onwards -3BHK apartment measuring 1475 sq. ft., New booking base price: Rs. 37-44.25 lakh onwards, Resale price: Rs. 42-44.25 lakh onwards -Second type of 3BHK apartment measuring 1675 sq. ft., New booking base price: Rs. 42-50.25 lakh onwards, Resale price: Rs. 50-60 lakh onwards Some developers have already started their projects in L Zone. However, I would advise you to wait as there are some approvals which are awaited for full-scale development to commence in this area. Further, I would like to inform you that L Zone will take some time to get developed. If you are an investor and have spare money, you should consider this property only if you have a lock-in period of 5-8 years. Hi there is no news on when would construction start in L zone since 2 3 years. Do we expect it to complete by 2021? Hi everyone, If you want any information about Dwarka Lzone, Revanta smart city, other project information of delhi smart city and also want to compare smart city project, then have a look on comparecasa. You can visit the comparecasa.com. Compare casa provide genuine information of all property and project of Delhi smart city.